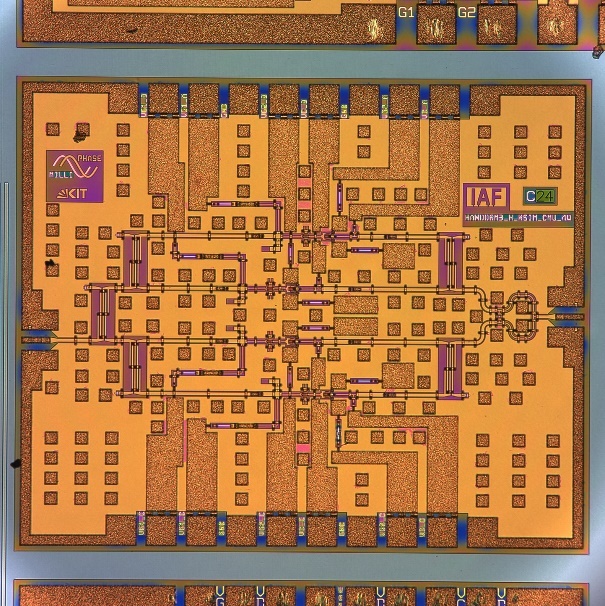 In the so called MilliPhase Project, which is founded by the Deutsche Forschungsgemeinschaft (DFG), IHE is researching the feasibility of analog and digital phase shifters in the high mmW-frequency range up to 330 GHz. 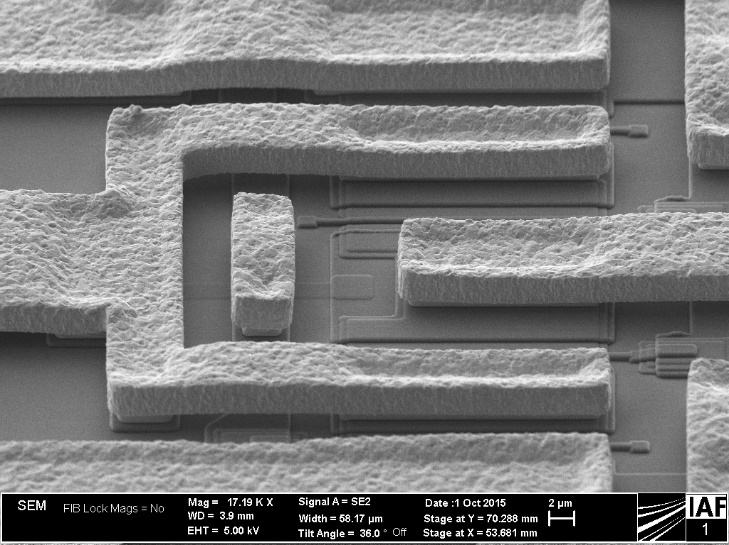 In the framework of the project several different concepts are investigated and realized in a state-of-the-art Galium-Arsenide Monolithic Microwave Integrated Circuit (MMIC) process which is provided by the project partner Fraunhofer Institute for Applied Solid State Physics (IAF). In order to make optimum use of the limited output power in the frequency range above 200 GHz, future communication- and radar-systems need high gain antennas which results in narrow beamwidths. To ensure flexibility of these systems, phased arrays were phase shifters are a key building block are employed, providing beam steering capabilities. The current results of the ongoing MilliPhase project show the feasibility of phase shifting circuits in this high frequency range. For detailed results and further information the following articles are recommended to the interested reader.